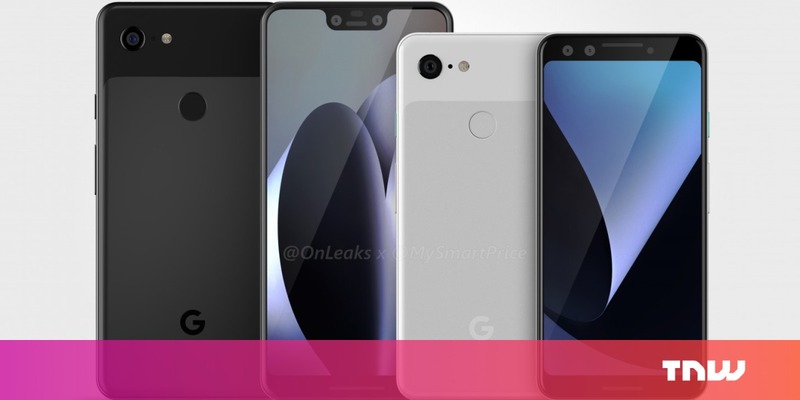 It was just a few weeks ago we got a look at a supposed Pixel 3 prototype, but new CAD renders courtesy of @OnLeaks and MySmartPrice provide what appear to be our clearest look at the device yet. The leaks show off the device from pretty much every angle and reinforce much of what we’ve seen already: glass backs, one camera on the back, and two cameras on the front. The XL has a chunky chin and notch, while the smaller model sticks to bezels on both sides, albeit far smaller than those on its predecessor. Where previous devices were mostly metal and features a small pane of glass up top for the antennas, it seems Google is giving the Pixel 3 the full glass treatment. Hopefully that means wireless charging, but as we’ve seen from Huawei and OnePlus, glass isn’t a guarantee. Both devices are expected to be very close to the dimensions of their predecessors. While such renders don’t always tell the full story, they should give a decent impressions of what to expect in terms of shape and materials come the fall. I just hope they bring back the Panda color.